I like to put myself out of my comfort zone when I travel. I’ve jumped off a mountain (with paraglider and hot guy attached) in Mexico, galloped alongside a herd of buffalo in Botswana and swung from a trapeze in Los Angeles. But one of my most memorable and thrilling moments was when I plunged into the chilly waters of India’s most sacred river – the Ganges. I was, to put it bluntly, a little dubious. I had visions of being clawed by disembodied limbs, contracting some horrible disease or inadvertently becoming part of a funeral procession. But instead, it proved to be a cleansing, soul-expanding experience – which is the whole point, really! According to Hindu lore, bathing in the Ganges purifies one of sins, of this lifetime as well as the past. Holding my nose and squeezing my eyes tight, I dunk myself under, praying that I won’t be swept away by the strong current. I arise quickly, shaking the water from my ears. Already I feel refreshed, invigorated, and – dare I say it – purified. Mother Ganga is working her magic. 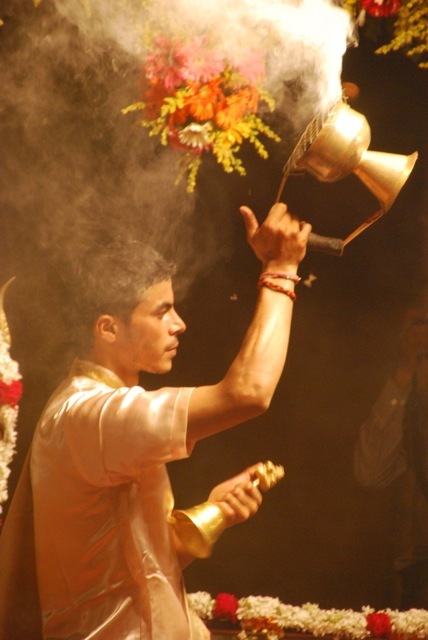 I have chosen to take my Ganges baptism in the river town of Haridwar, in the state of Uttarakhand. Considered one of the seven holiest places in Hindu lore, it is said to be the Gateway to the Gods, the place where drops of Amrit – an elixir of immortality – fell to earth whilst being carried by the celestial bird, Garuda. 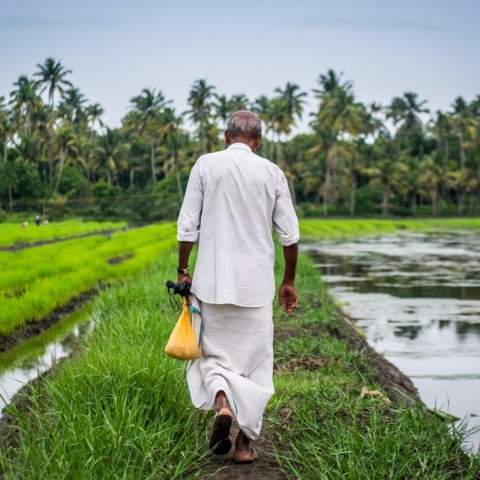 Located where the Himalayas meet the plains, this city is further upstream than the better-known Varanasi – the river, therefore, flows quickly and appears much cleaner than further downstream. 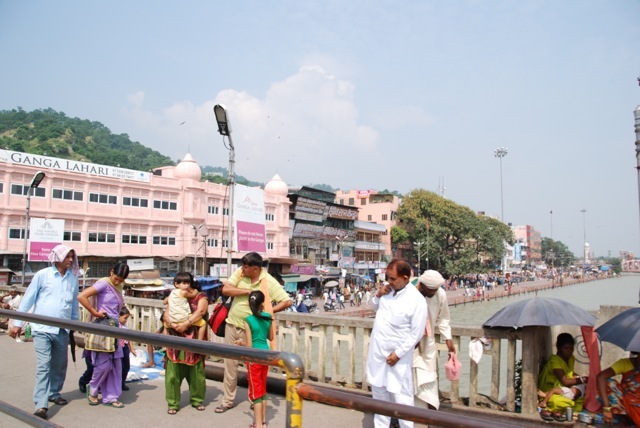 Needless to say, Haridwar is packed with pilgrims during my visit, and there is a palpable air of joy as crowds jostle for space along the river’s edge. 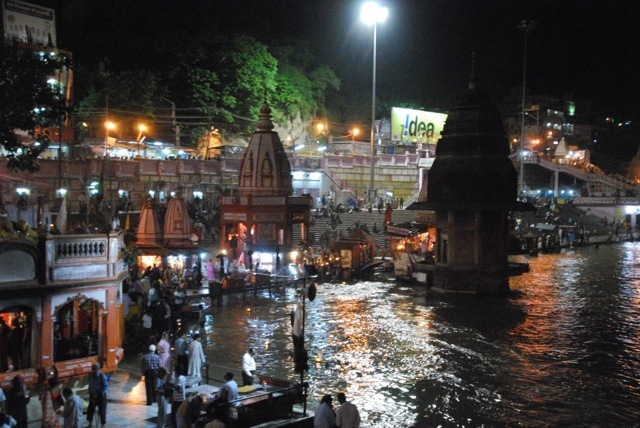 As darkness descends, the pretty pink-hued city is even more beautiful, with candles and wreaths of marigolds floating in the sparkling waters as the evening aarti is performed in the Har Ki Pauri Ghat. 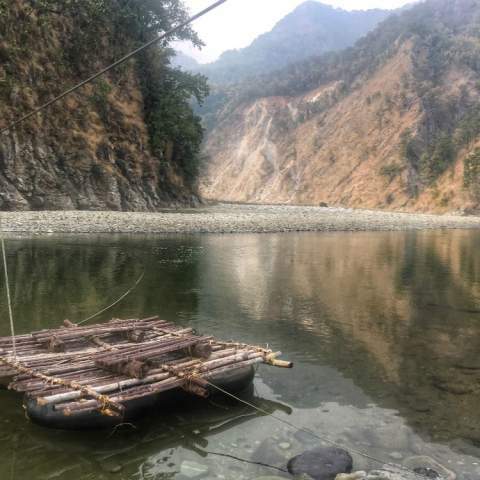 While most bathers take their dip from public steps along the river bank, those who are more modest can also bathe in the comfort and privacy of their own guesthouse. The Haveli Hari Ganga is a lovely heritage-listed 100-year-old haveli located right on the waterfront, with 20 luxurious rooms, a tiled central courtyard and its own private ghat. 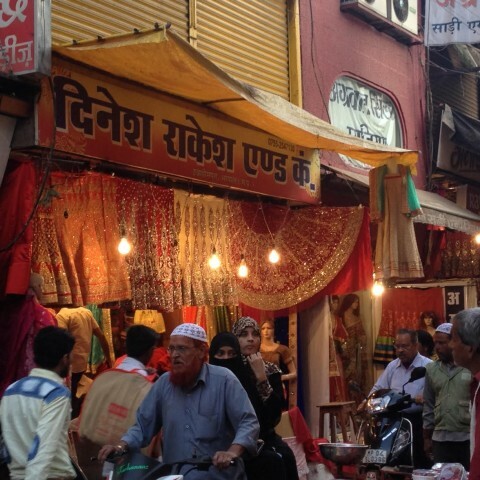 It also has a vegetarian restaurant, yoga classes and an astrologer and palmist available for consultation. 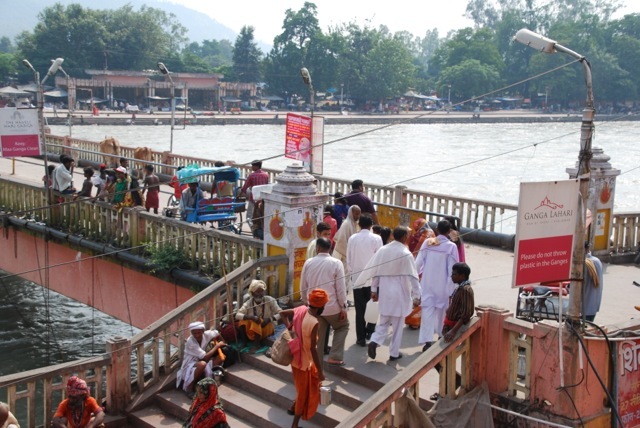 Interested in travelling to Haridwar? Our Himalaya Elements private tour takes you there. 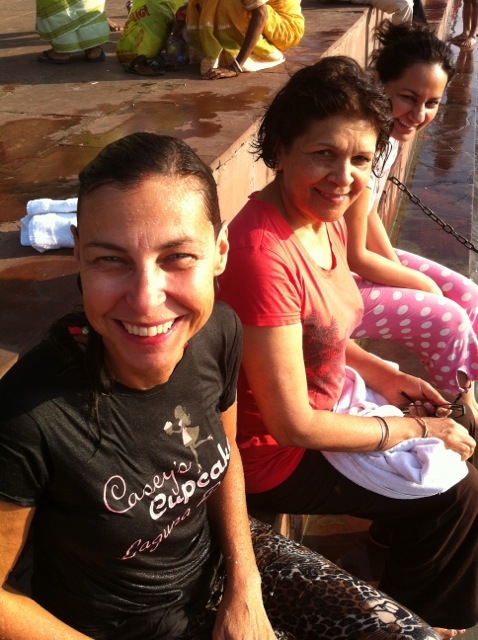 Gorgeous photos, and you look so happy and rejuvenated by the river Ganges. So inspiring, and thank you for sharing such a journey. I have never been to India, but your posts always make it a journey to take.